Today’s card is being featured on Stylin’ Stampin’ Inkspiration. 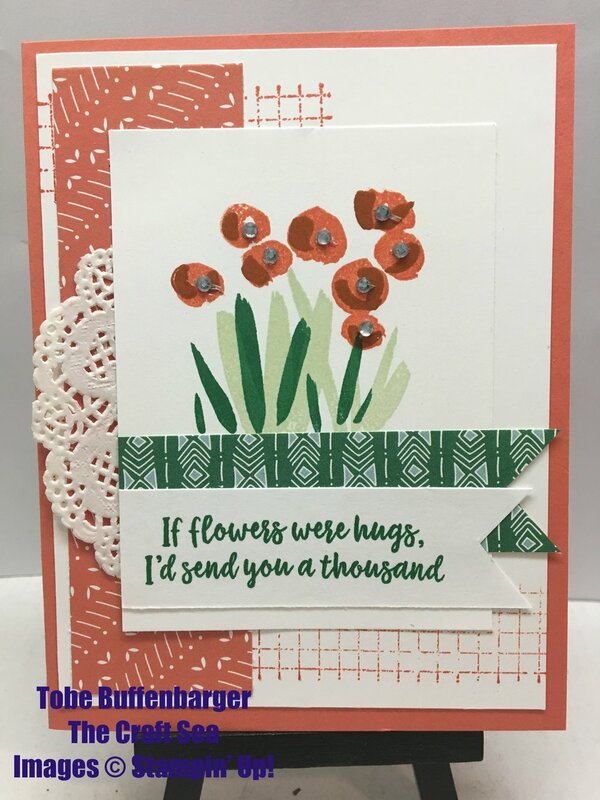 The challenge was to create a card using our favorite Annual Catalog stamp set. Hands down I love the Abstract Impressions Stamp Set. I've had so much fun creating layered floral images. And the sentiments are just about perfect! For this card, I had fun CASEing a great card from Chat Wszelaki @ Me, My Stamps, and I. I changed a few things here and there, but kept the great design. Such a perfect card!